Shopping is too much fun! Top it off with the fact that wages haven’t budged in more than five years and it’s easy to get in over your head with credit…and get sucked into the bad credit trap. Miss a payment and rates shoot up on all your credit debt. Your monthly payments jump and pretty soon you’re missing more payments. That’s where consolidation loans come in and can save your credit score from going even lower. I’ve used debt consolidation a couple of times and can vouch for its ability to help put bad credit back on track. Consolidation loans for bad credit basically just means you take out one big loan to pay off all your little loans. It’s usually a personal loan which are available up to $35,000 and unsecured, meaning you don’t have to worry about losing your home if you can’t make the payments. You probably won’t want to pay off lower-interest loans like your mortgage but it’s a good opportunity to get rid of those high-interest credit card and buy-here-pay-here bills. There’s a lot to like about consolidation loans, whether you have bad credit or a top FICO score. There are some risks though so make sure you read through the rest of the article and find out how to take advantage of the debt consolidation tool. Why Do you Need a Consolidation Loan for Bad Credit? To start off, you absolutely must understand why you have bad credit in the first place. Be honest. I’ve destroyed my credit and it was only by knowing how I got into the situation that I was able to not do it again. A consolidation loan is a great tool for putting your finances back in order and building your credit score back up…but just like any other tool, it can smash things up even worse if you use it incorrectly. If overspending is what pushed you into a bad credit nightmare and you do nothing to change it then consolidation loans are only going to make things worse. 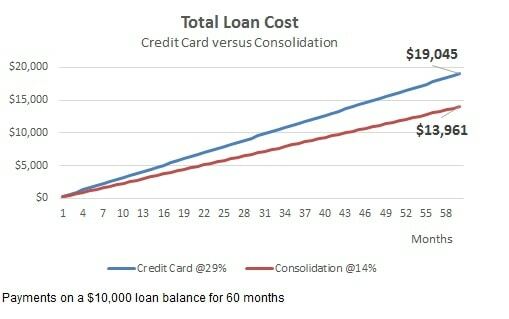 Paying off your credit cards with a consolidation loan is going to free up a lot of available credit. If you run out and max out those cards again, there’s no way you’ll be able to make payments on all your debt. If you just missed a couple of payments or if a financial emergency pushed you into debt, then a debt consolidation loan can help manage your bills more easily. If you can’t resist going out to shop when there’s credit available then don’t get a debt consolidation loan, fix your spending habits first. Before you take out a consolidation loan, make sure it’s the right type of loan for your need. Rates on consolidation loans, especially for bad credit borrowers, can get pretty high though they are still lower than credit cards and payday lending. Your first step in being able to use debt as a financial tool is understanding the best types of loans for different needs. The important point is that you resolve to fix your bad credit. We’ll get into how consolidation loans can help to fix bad credit in the next section but check out these three credit score hacks to get you started. There’s really three ways that consolidation loans will help you fix bad credit and put your finances back on track. 1) Consolidation loans make it easier to manage your bills. Having multiple credit cards on top of your utilities bills, the cable bill and everything else makes it pretty likely you’ll miss a payment. Creditors are unforgiving when it comes to paying on time. Miss just one payment after years of on-time checks and your credit score can still fall up to 50 points – sending you into a bad credit nightmare. 2) Consolidation loans can help lower your monthly payments. Lending Club reports that borrowers lower their interest rates by an average of 32% from high-interest credit cards. Lower interest rates mean you save on the loan cost and lower your payments. The monthly payment for a $10,000 credit card balance at 29% would be $317.42 if you wanted to pay it off in five years. Consolidate it with a 14% personal loan and your payment drops to $232.68 per month. You save $84.74 a month and more than $5,000 in interest! 3) The people that calculate your credit score hate credit card debt. It goes on your credit report as revolving credit, meaning there’s no payoff date and you can keep charging until you get yourself in trouble. By comparison, non-revolving debt is better because it has fixed payments and a fixed payoff date. Consolidation loans go on your credit report as non-revolving credit and you should see an increase in your credit score by paying down your revolving credit. 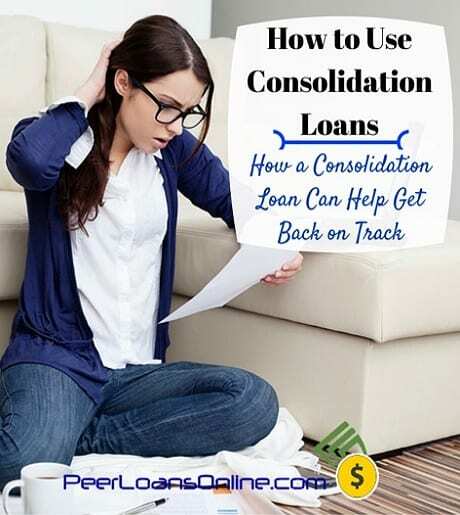 Debt consolidation also helps by improving your credit utilization ratio which is just the balances you have against how much credit is available. We’ve covered some of the best sources for consolidation loans in this Top 10 List of Personal Loan Sites for Bad Credit. A few of the websites require FICO scores of 640 or higher but there are others that will work with poor credit borrowers with credit scores in the 500s. If at all possible, the best thing you can do is give yourself a few months to improve your credit score to get the lowest rates possible on your consolidation loan. Most of the time this isn’t an option so I’m going to show you how to get a loan now and will link to a couple of videos on improving your credit to use when you have the time. Getting a loan to pay off your debts is actually pretty easy. Lenders know you’re being responsible and taking control of your debt so they love these kinds of loans. You’re more likely to pay off the debt because it is helping you get back on track. Applying for a consolidation loan on PersonalLoans.com takes about five minutes. You’ll fill out contact and employment information and the website will run a soft-check on your credit to estimate a rate. Most of the time, that’s all it takes. If you agree to the terms on a loan, you can get the money in as little as 24 hours in your bank account. The personal loans site might ask to verify your employment or income but this is rare, less than one out of five borrowers, in my experience. Once you’ve gotten your loan, payments will start coming out of your account in a month. You can always make extra payments and there’s never a penalty for paying the loan off early. If you can wait a month or more to get a loan, check out these videos to increase your credit score. Debt isn’t a bad thing to be avoided at all costs. It’s just a financial tool that can allow you to get things you otherwise could never afford like those big expenses around a home or car. If you’ve fallen into the bad credit nightmare then debt consolidation loans may be your best option to fix your credit and put your finances back together.